Nine years ago today, a Florida-based cosplayer who goes by 'Blackflame16' decided to sew herself a costume for the first time ever. She wrote on her Facebook page, "I can't believe 9 years ago I was crying in front of my sewing machine, running on 2 hours of sleep trying to finish my first cosplay..."
Now, she has dozens of characters under her cosplay belt, has won multiple awards, and has spent a lot of the past 28 days sharing the work of other black cosplayers as part of February's #28DaysOfBlackCosplay movement. The Black Panther movie is just over a week away, and some incredibly cool cosplay has come out of the overwhelming excitement for this movie. The photographer featured is E Vic Rosa, otherwise known as lucidvphotography. Andrien told IGN, "My favourite thing about being a cosplayer has to be fully embodying the character I'm portraying. In my case, as this was my first costume, it felt fantastic seeing comments and reactions from people who said I did a good job looking like the Black Panther. It made all that working out 4 times a week worth it." At SDCC today, Marvel announced that Captain Marvel will be set in the early 1990s, before the events of the first Iron Man. The new Wonder Woman movie is just about to release, and to celebrate that, we thought we'd put the spotlight on one of the coolest Wonder Woman cosplays around. The photographers featured are Blue Dawn Studios, Joits Photography, Estrada Photography, Eurobeat Kasumi Photography, Darryl Pamplin, Elysiam Entertainment and Ljinto. Guardians of the Galaxy Vol. 2 is less than a month away, so we thought we'd express some of our excitement by sharing one of the best cosplays from the franchise. It took Warren around three months to make the full costume, including days where he'd have to wake up at around 3am just to work on it before heading to his actual job. The build was first made for a cosplay competition, but now, Warren has a huge focus on attending charity events as Rocket Raccoon, in part because he himself grew up with autism. DC Collectibles are adding a Batman: The Animated Series Batcave Vignette to their line of Animated Series figures and collectibles. The Vignette is 15.5”x 17”x 21”, and features a special LED light-up Bat-Computer, and interchangeable computer screen graphics. 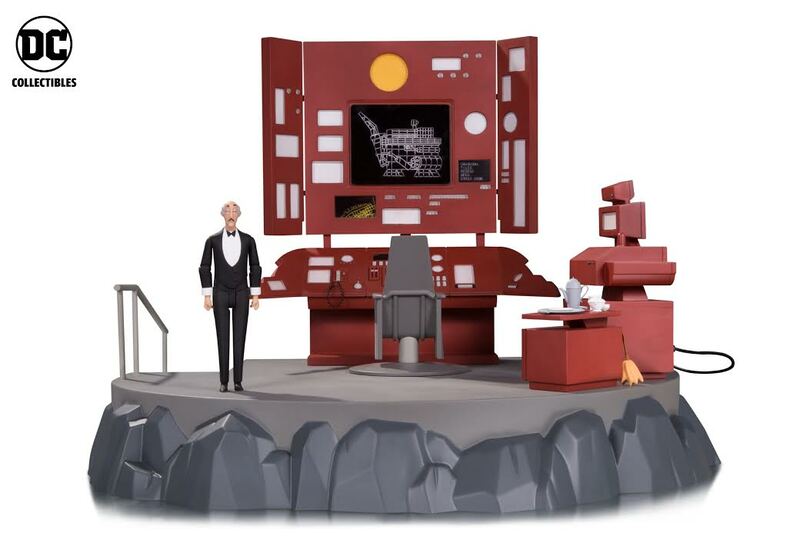 It also comes with an exclusive 6" Alfred figure, who has a food tray, tea pot and duster as accessories. We doubled our cosplay efforts in 2016 to bring you coverage of incredible cosplayers from all over the world, and today we decided to round up some of our favorites of the year. Regarding cosplaying in general, Tom Braider, one of our featured cosplayers, told IGN, "My favorite thing about being a cosplayer is knowing that there are people out there that can really understand and relate to my interests. It's one of the best ways to meet friends, make connections and celebrate the culture in which we are a part of. I am so happy to contribute and be a part of it." Just in time for the holidays, DC Collectibles has released a new Batman: The Animated Series style Batwing and Batmobile. The Batwing is a full 36" and neatly fits two 6" action figures inside, once you slide open the top. 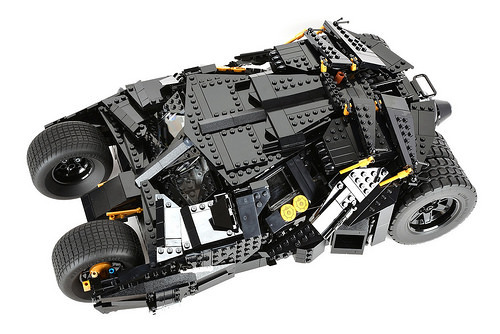 It has two moving wheels and light-up headlights, breaks, and engine, and costs $175. The Deluxe Batmobile (not to be confused with the original 'Batman: The Animated Series Batmobile') actually comes with an Animated Series style Batman and Robin, as well as a light up Bat-Signal, on wheels.